Pastor Andrew Brunson, the US cleric from North Carolina who was jailed after the failed Turkish military coup two years ago over claims of having helped the ‘Fetullah Gulen’ side, could soon be released. Mr. Brunson, whose due in a Turkish court this Friday morning, will, according to various reports in the US media, be granted amnesty from further legal proceedings by the Turkish judiciary and would then return to the US in the coming days. If so, that would be another major win for the Trump administration (more specifically for VP Pence and State Secretary Pompeo) less than a month before the next midterms. Related coverage: <a href="https://thegoldwater.com/news/38478-Erdogan-Claims-US-Pastor-Andrew-Brunson-Has-Dark-Links-With-Terror-Organisations"> Erdogan Claims US Pastor Andrew Brunson Has "Dark Links With Terror Organisations"</a>. US Vice-President Mr. Mike Pence says that he is not aware such a deal was reached but that he remains ‘hopeful’ that a fair hearing would result in freedom for Mr. Brunson. 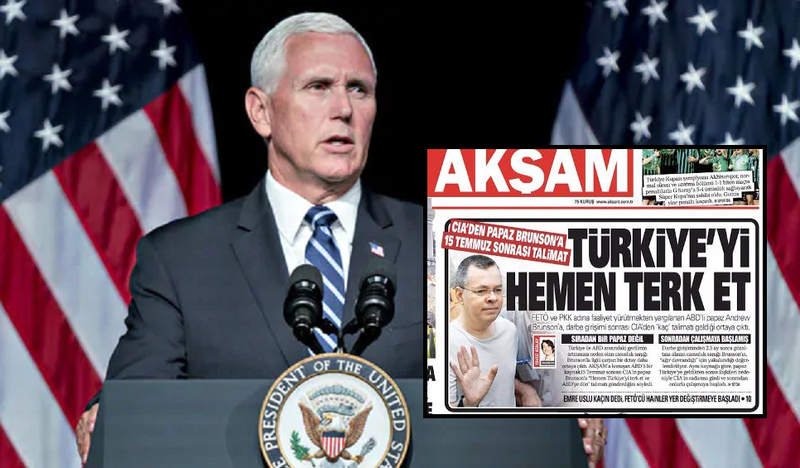 During a press briefing on the subject, Mr. Pence stated: "We remain hopeful that with the court proceeding that Turkey will see its way clear and free this good man who is guilty of nothing and who has been incarcerated for several years in Turkey unjustly." He also added that the Trump administration had "made it clear that we will continue to stand strong until Pastor Brunson is free". The arrest and continued detention of Mr. Brunson has led to a serious breakdown in relations between Turkey and the US, resulting in Mr. Trump threatening to install further tariffs and the Turkish currency suffering a major plunge as a result. Turkish authorities moved towards house arrest for Mr. Brunson in the past few months rather than keeping him jailed but Secretary of State Mr. Mike Pompeo repeatedly stated that this was not enough, claiming that "we have seen no credible evidence against Mr. Brunson."